Toekick 96" Wide, 4.5" Tall, 1/4" Thick. *Necessary to cover the unfinished toe space on all base cabinets, tall cabinets, vanity cabinets, etc. 1 Color Specific Wax Crayon and Marker for Touch Up Purposes. *Used to fill small holes when flipping base cabinet doors over to change hinge orientation from Right to Left. Also used to fill small nail holes in toe kick and crown moulding and correct minor damage during install. Finished Skin Panel 36" wide, 96" tall, 1/4" thick. Vertical grain panel for use on islands and peninsulas. 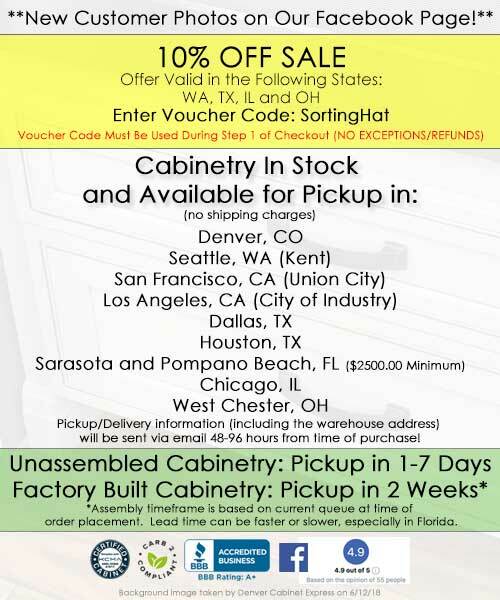 We offer an extremely quick and easy way to purchase your cabinetry online at a great price from the comfort of your home, office or job site. Why buy cabinetry for twice as much from a local dealer when you can get a higher quality product faster by purchasing your project online? Get higher quality, and lower pricing guaranteed!
" I can't say enough about these cabinets. 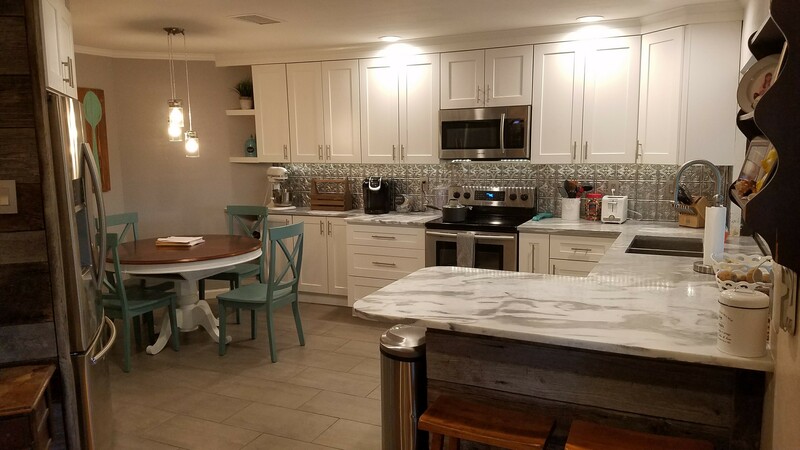 I have remodeled 5 kitchens in the last year and used a different company for each one. 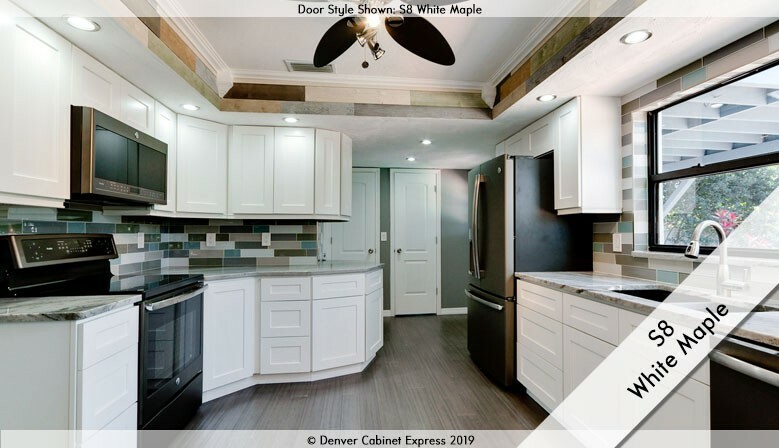 The quality from Denver Cabinet Express surpassed the competition. 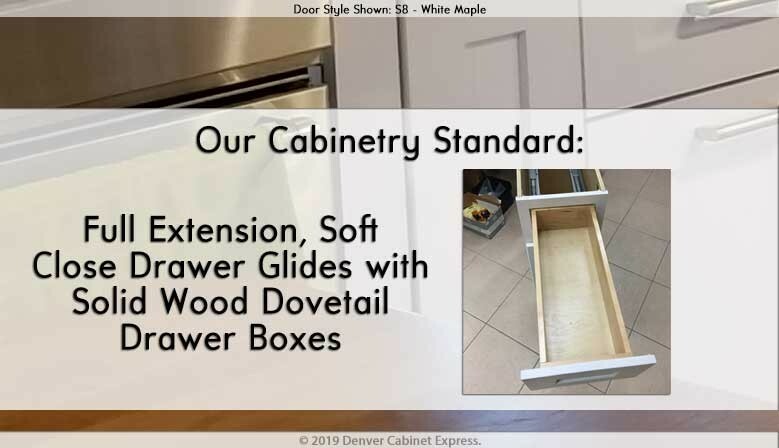 Where other cabinet companies use wooden supports and particle board boxes DCE uses plywood and metal supports. All of my contractors have had nothing but great things to say about these cabinets. Then to top it off the customer service and support from Chris is great. We had a problem with the delivery company not showing up so Chris drove to Denver himself and delivered them to us. This is going above and beyond. " 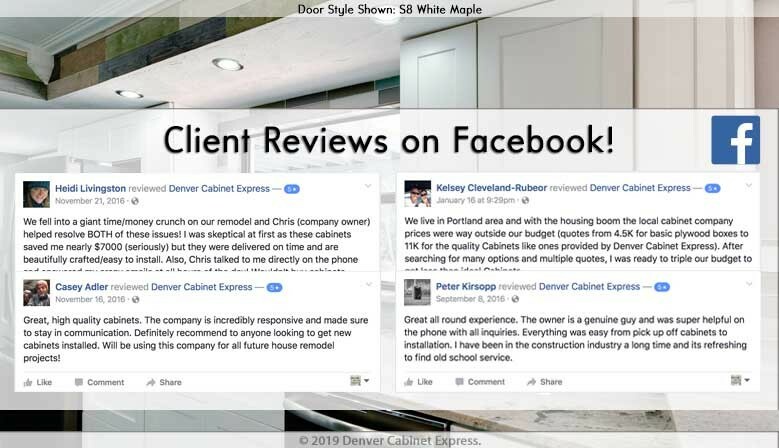 " After using Chris and Denver Cabinet Express on recent projects, I have to offer rave reviews. 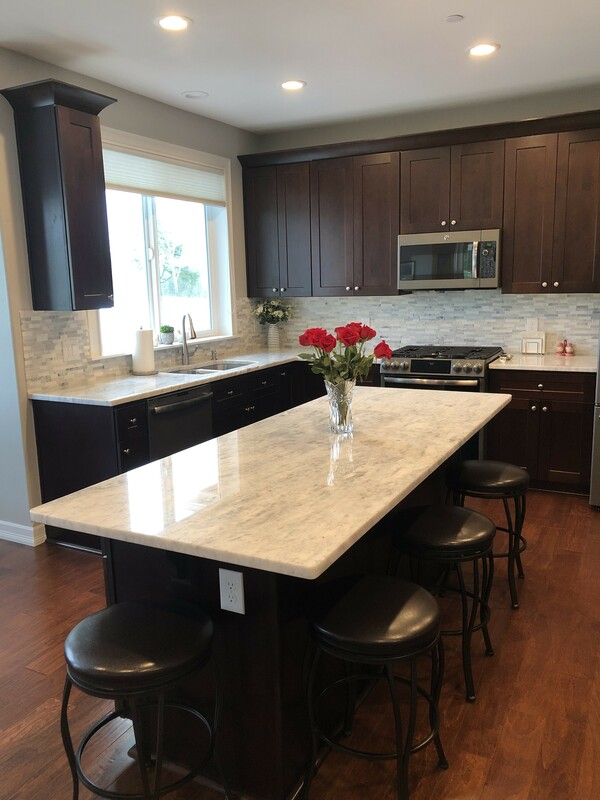 The cabinet lines are perfect for current preferred design styles in my new construction AND residential flips, very marketable, buyers have commented that quality is good, they “FEEL solid” – and after all, it’s the buyer’s opinion that matters most! Hardware feels robust as well. I’ll be using the modern lines extensively. From a developer’s standpoint, the ordering process is on POINT for a busy individual – all done online, simple, easy, fast, no trips to design centers, and Chris’ product knowledge and overall assistance, when needed, is exemplary. Two week turnaround is among the fastest I’ve seen, instrumental when reconfiguring kitchens that you cannot spec until after demo and don’t have 2 months lead time. No delays due to cabinets, for once. And price (Page 1) "
" I have installed many cabinets over the years, both custom made and off the shelf big box store. This cabinet is by far the best, most convenient RTA cabinet I have seen. Having matching prefinished sides are a big plus as you don't need to purchase ends which add cost and never fit right. Easy to assemble with staples and glue. 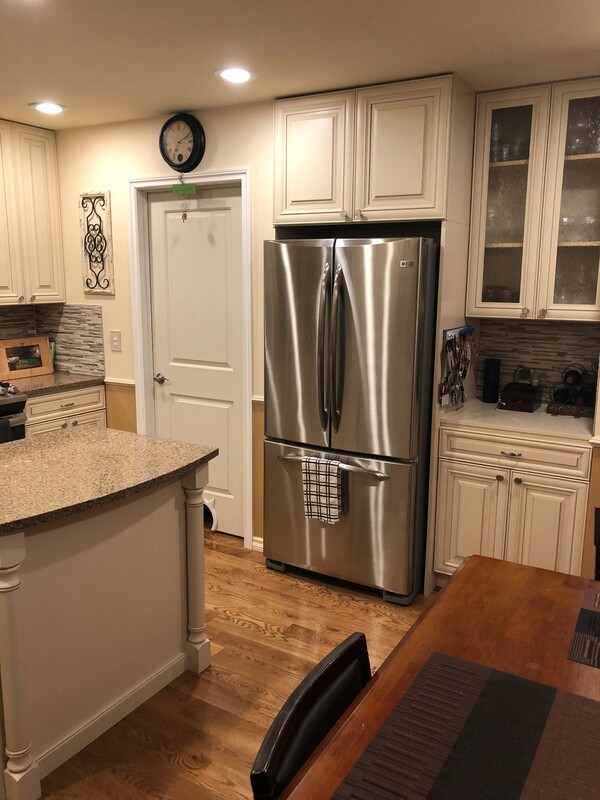 I have purchased kitchen, vanity, and laundry room cabinets both knocked down and pre assembled and am happy with all of them. " 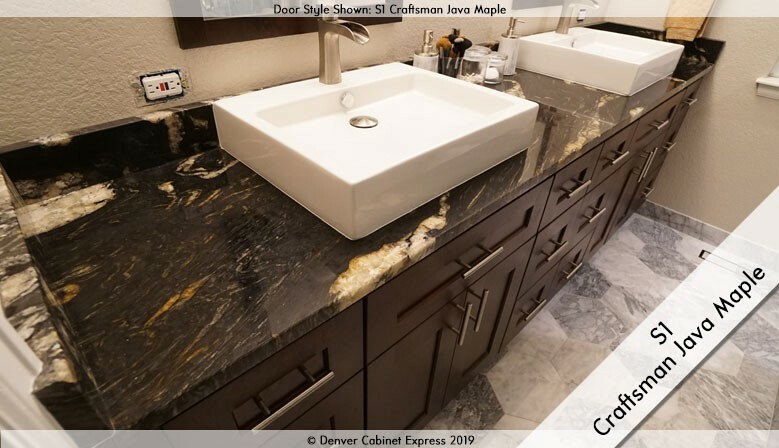 " We recently purchased a bathroom vanity from Denver Cabinet Express and couldn't be more pleased! It looked exactly as it did on the website, the quality is excellent (not to mention much higher than we would have received from the big box stores) and it looks great. Chris was very professional and prompt in responding to every email. We are considering kitchen cabinets from them as well! Great company, great customer service. " 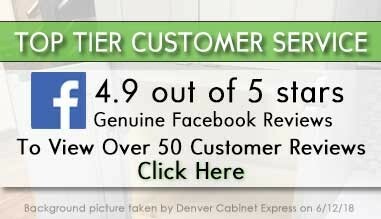 " I love Denver Cabinet Express!! 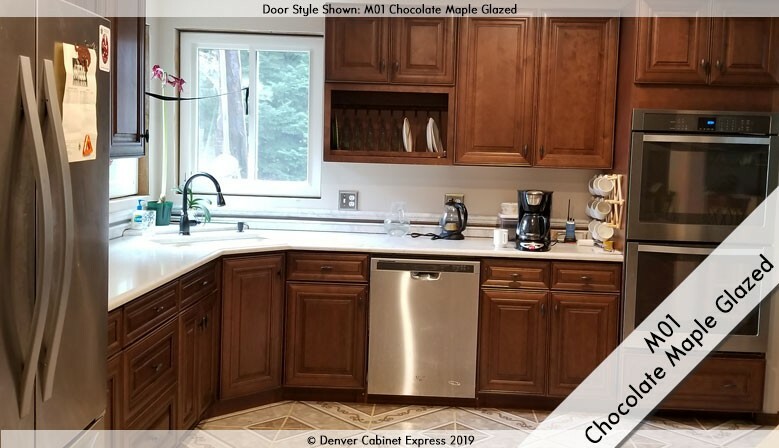 We did our own kitchen remodel using Denver Cabinet Express and J-K Cabinets and couldn't be more pleased!! The quality is fantastic, the service great and the prices, unbelievable!! We were skeptical at first because the price was so much lower then anywhere else, but we couldn't be more pleased with the results!! I recommend these guys to everyone!! " " Chris really made the process very smooth. Everything was delivered on schedule and the quality was exactly what I was told. I highly recommend working with Chris. " 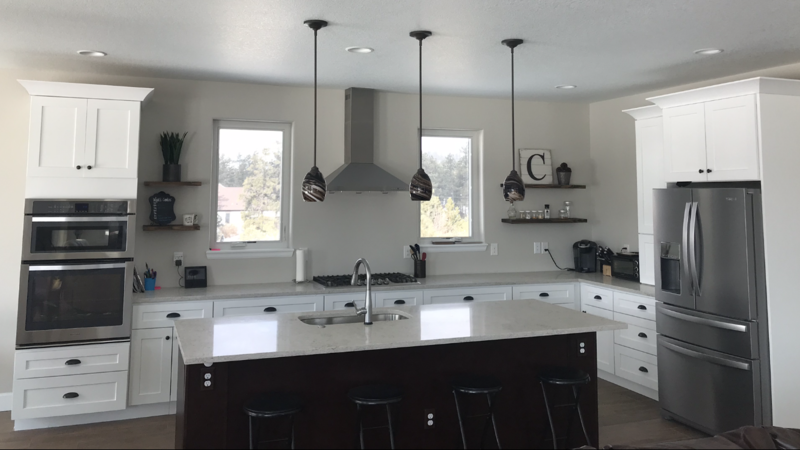 " Doing a kitchen renovation without a contractor is exhausting and ordering materials/cabinets was intimidating. 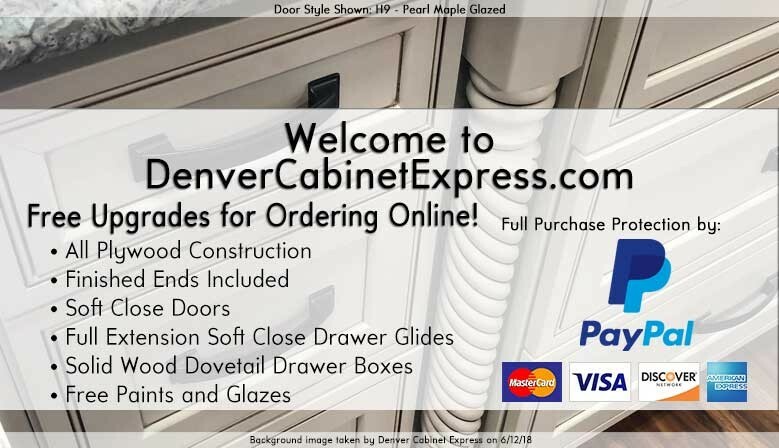 But Denver Cabinet Express made it easy to understand and ordering our cabinets was simple. Chris answered our questions by email thoroughly and patiently. 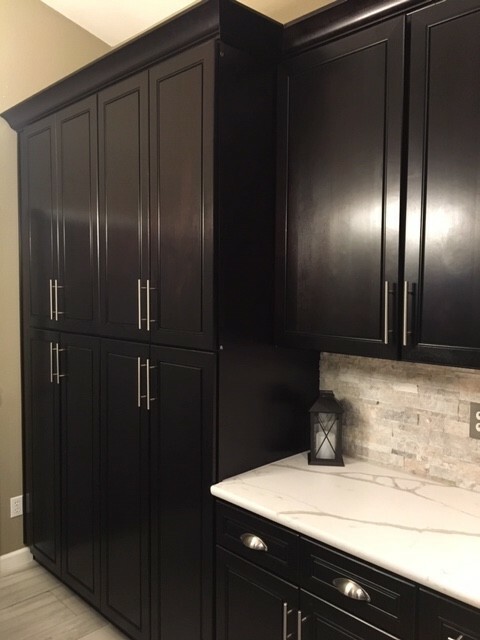 We ordered our cabinets assembled to save time and we had them within 4 weeks. The delivery went smoothly...nothing was forgotten or damaged. We did have one cabinet that appeared to be flagged by the factory for hinge adjustment and it must've gotten missed because it arrived taped up and loose. No biggie...we made the adjustment upon installation with no issues. We ordered some pull out drawers for our cabinets that proved to be more difficult to install than expected. Some directions/ suggested installation would've been helpful but we found a YouTube video that cleared up our confusion. 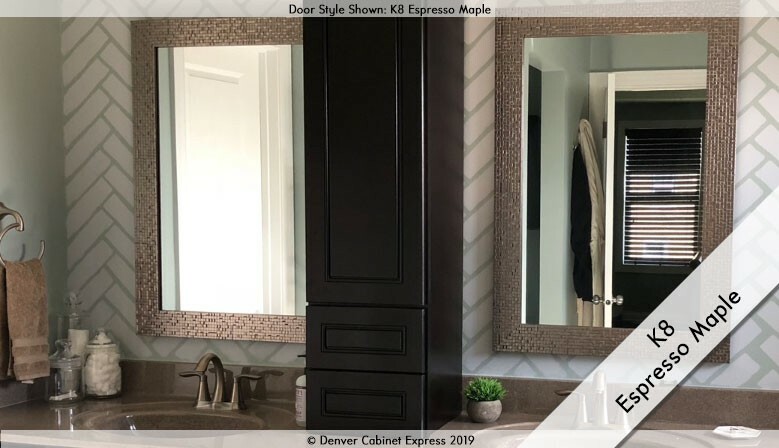 Overall I think the quality of our "
" I recently purchased kitchen and bathroom cabinets through Denver Cabinets Express and was very satisfied. 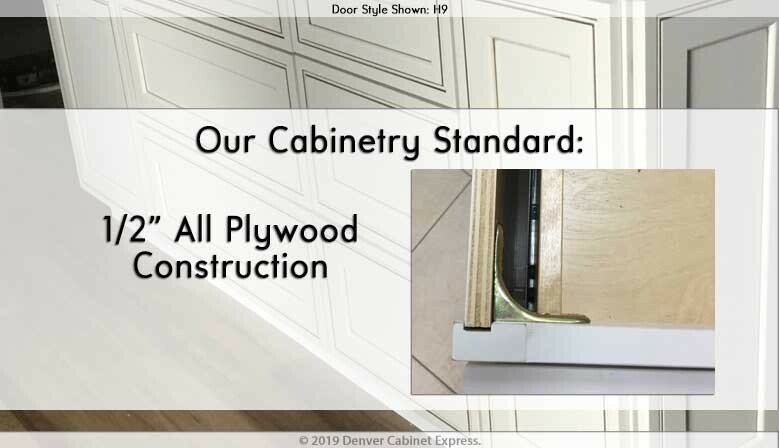 I have worked with other RTA cabinet companies and Denver Cabinets Express was the easiest and quickest to work with. Great customer service, quick response and beautiful cabinets!! I will for sure be a returning customer! " " WOW! These cabinets exceed my expectations; I could not be happier. The quality is excellent, the delivery was on time and my sales rep knew what he was talking about. I will definitely refer Cabinet Express. Thank you, Chris. 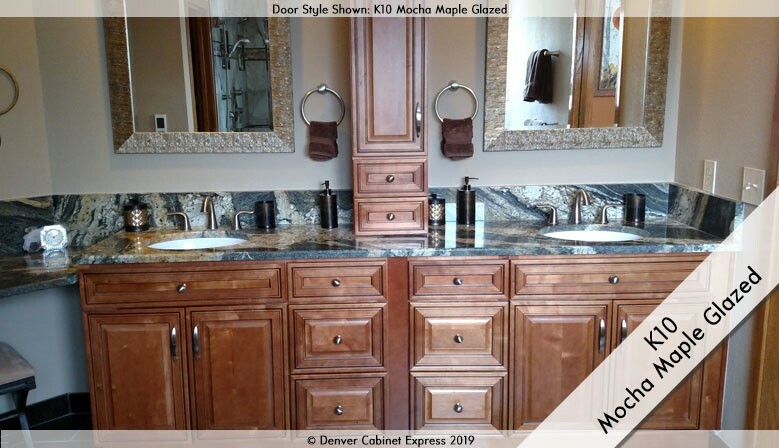 Yvonne Burns, Denver, CO "
" Denver Cabinet Express did an excellent job on my cabinets. They turned out great. The work was handled professionally with attention to detail and was completed on time. I would strongly recommend them and plan to use them for future cabinet work. " 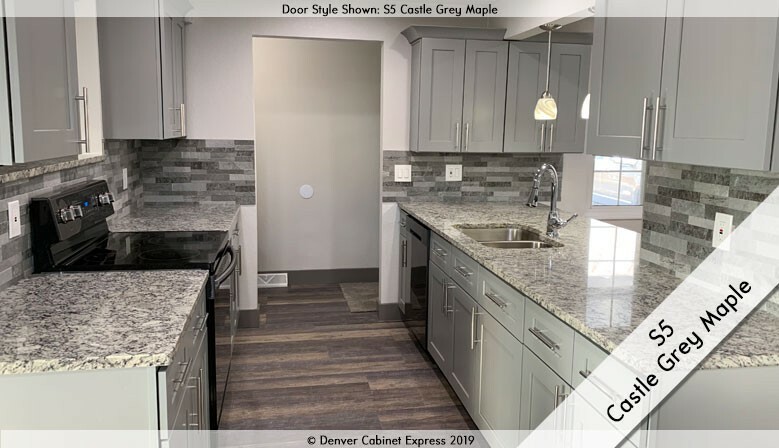 " Couldn't be happier with the cabinets from Denver Cabinet Express. I especially like how everything is up front and clear on the website and how responsive Chris is to any questions you might have. The cabinets are very good quality and the design is flawless. The QA has obviously been a real focus as the cabinets fit together perfectly, every time. I purchased the cabinets unassembled due to job site access and storage capacity. Each one assembled easily and each joint was cut correctly and fit very tightly...from the first cabinet to the last. " " I am an interior designer and bought these for my Florida house. These are way above and beyond what I expected for the price. Very high quality!!! I am so impressed. I feel like I stole them. Trust me....I used to own a flooring and design center in NC. I am retired now but I would not hesitate to recommend these. Makes me want to go back into business just to sell them. Chris also earns the mark of excellence as far as his customer service. Thank you Chris!!! " 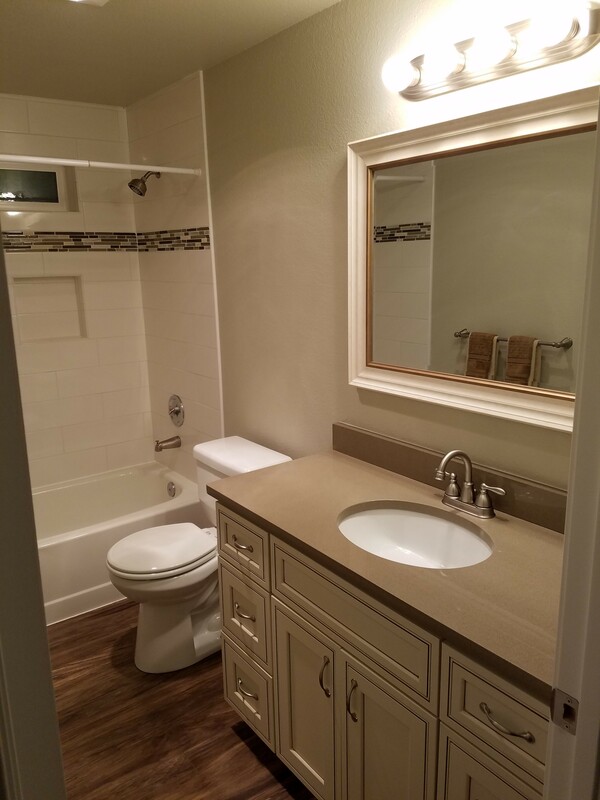 " is right for remodelers, where margins are quickly absorbed. Frankly, I regret not finding this company until after doing my own residence, it would have eliminated a nightmare. Kudos, well done, high marks! " 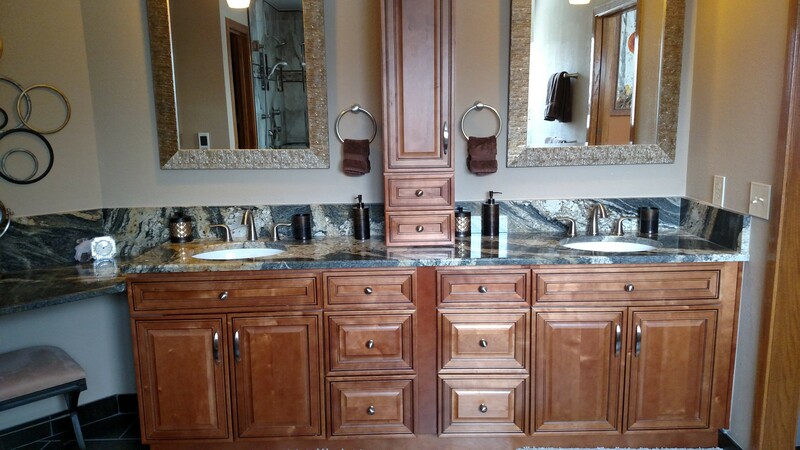 " Looked around for rounded bathroom vanity cabinets, and found them here at denver cabinets. The price was phenomenal compared to other custom cabinet places (up to 3 times less expensive). The on-line experience was easy and was able to get exactly what I needed for my bathroom. 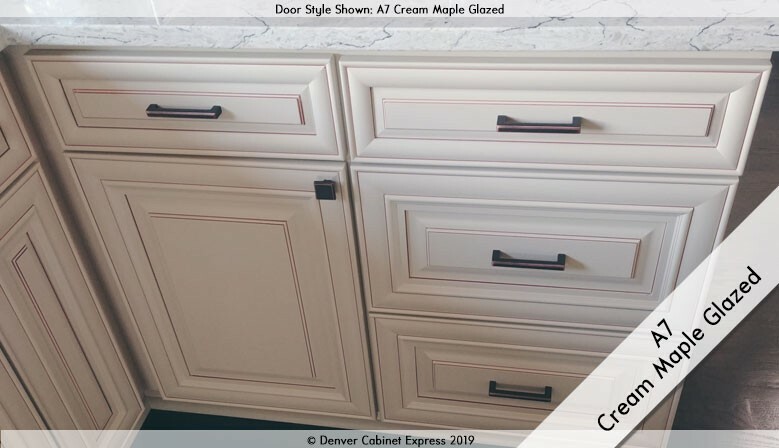 Once I got the cabinets, the quality was just as phenomenal, and would highly recommend purchasing from Denver cabinets. Also at first was worried about ordering unassembled, but was not as difficult as I thought. The on-line videos helped, and the entire experience proved to be one I would highly recommend. " 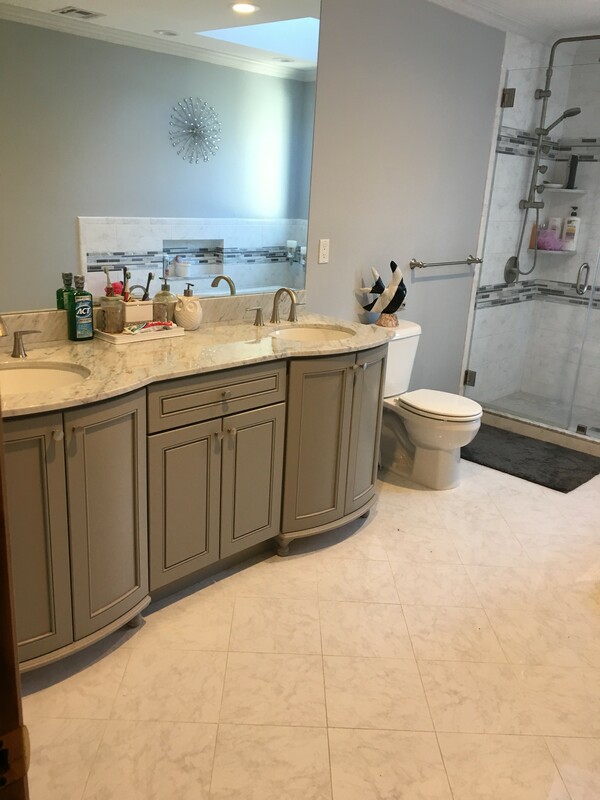 " We purchased these cabinets for our bathroom. I shopped around at Lowes and a local cabinet maker who did our kitchen. The quality was much higher then Lowes, the price was also 15% less. 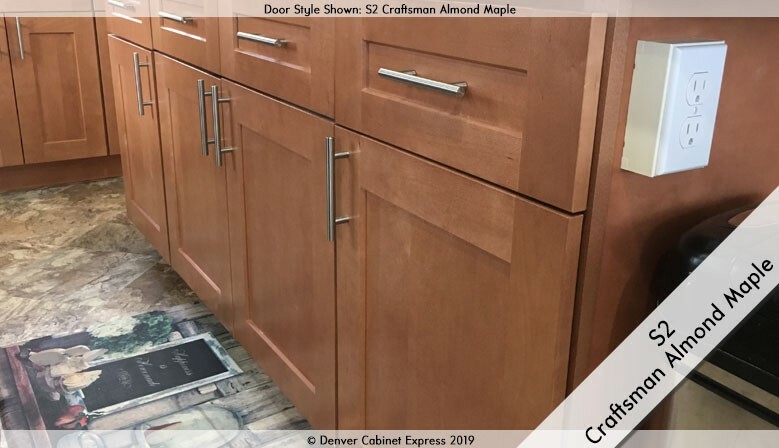 The quality compared to our kitchen was almost exactly the same (except the kitchen boxes were 1/8" thicker) but price compared, Denver cabinets were 40% less. The turn around time was also extremely fast. I think it only took two weeks. The delivery guy showed up exactly when he said he would. Chris answered the phone every time I called and took real good care of us. Also buying from Denver saved me about $150 in tax. Super happy, Thanks! " 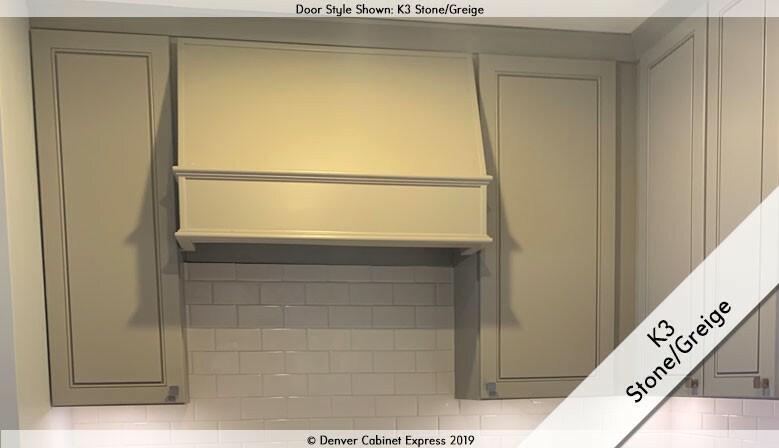 " I love the cabinets that I bought through Denver Cabinet Express. I worked with Chris, who did an excellent job answering any questions that I had. J-K Cabinets, who fulfills the order, were very thorough. The cabinets are good quality and extremely well priced. I would recommend them to anyone! " 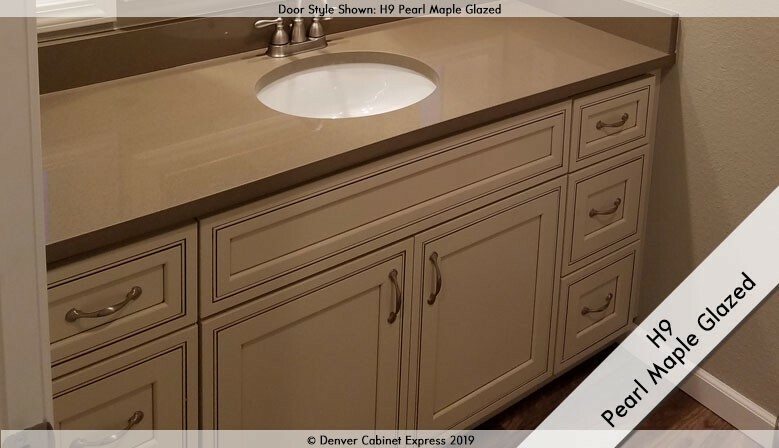 " We bought our bathroom vanities from Denver Cabinet Express a few weeks ago and the service was impressive. 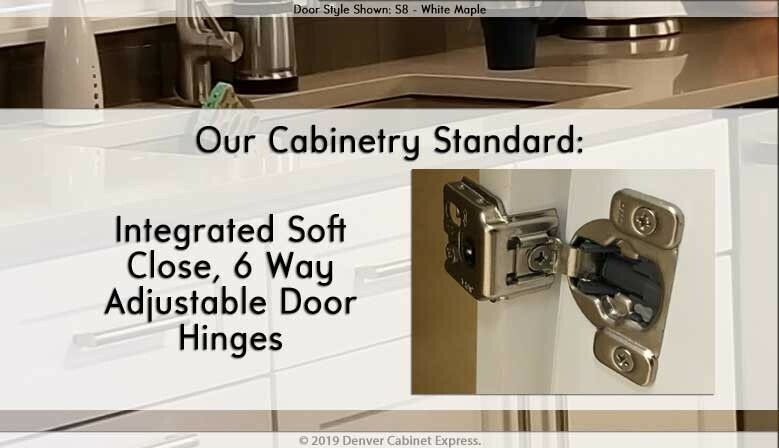 Not only do they offer a very easy to use website that we ordered all of our cabinets on, but they were very good about getting back to emails promptly on any questions we had. The product is high quality, looked identical to the pictures on the front page, and the plywood sides really make it feel custom. We got our vanities in under 2 weeks as promised and couldn't be happier. When we do our kitchen, we will definitely be back. " " Chris, I want to thank you for our new kitchen cabinets. Your web site was easy to navigate, complete, prices were posted. This was a straight forward, no B.S. transaction, which works for me. Ordering from you was efficient and price competitive. I would recommend you to anyone, at any time, without reservation. Thanks again, Jerry Denver, CO "